As critisms against the declaration by Coalition of Arewa Youths that Igbos should vacate the North on or before the October 1st or face the consequences continue, a group known as Arewa Youth Assembly (AYA) has advised Nigerian Acting President, Professor Yemi Osinbajo to immediately convey national youth peace summit. The group believed that if this is done, it will help to nip in the bud the possible crisis that may surface after the October ultimatum because all the youths across the six geo political would be brought together and discuss the way forward in the interest of the country and its masses. The call, which was contained in an open letter to acting president signed by the Speaker of the group, Mohammed Salihu, a copy of which was made available to media in Kaduna on Thursday observed that, there is a need to put an end to agitations from all quaters which can only be achieved by bringing interest parties together to discuss issues that affect them as a people. The letter read in part, “we humbly write to present our suggestions to the present security threats occasioned by various agitations across the country ranging from Biafra Independence, Resource Control, Igbo Quick Notice and lots more. “Your Excellency, of all these forms of agitations, the one that pose immediate danger to the continuous existence of Nigeria as a united entity is the so-called Igbo quit notice given by some Arewa youths which as the clock ticks, draw us closer to the 1st October dateline issued by these youths. “There may be various security arrangements put in place to prevent any break of law and order but sincerely, we believe that prevention is better than cure most especially in a country like Nigeria, where our overall security personnel strength is not enough to man every part of the country considering our population and geographical spread. “It is wise therefore, that a problem is best solved from its roots (Youths). Convene with immediate effect a national Youth Peace Summit that will bring together various notable youth organizations /leaders from across the six geopolitical zones of the country. We will talk to ourselves and find solutions. “Regulate vigorously for the mean time, in the interest of national unity the type of information being published by various broadcasting agencies across the country as it relates to various forms of agitations”. 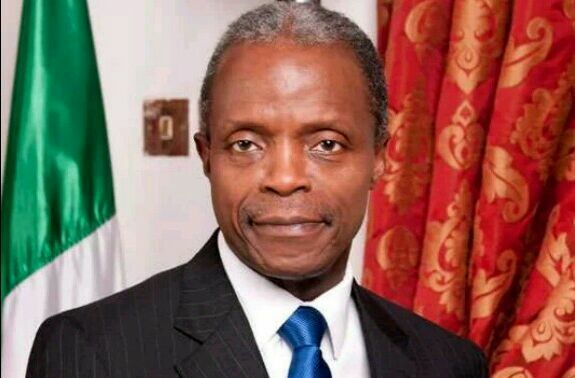 The group also asked Osinbajo to direct the various security agencies to checkmate and bring to justice any individual or group that make any inciting comments just as it commended the effort of the Inspector General of Police, Ibrahim Idris for recently declaring the Arewa Youths that gave the Igbos Quick Notice, Wanted. AYA however advice all youths in the country irrespective of tribe, religion and region to take as their personal issue to fish out these ember of disunity because they are trying to the unity of this country and must be punish accordingly, “this is how it should be, Nobody should be above the law”.